Summer movie blockbusters are upon us and local theaters are showcasing another season of superhero action flicks. Raising four kids, I have watched my share of superhero movies – from Star Wars to Spiderman – Aquagirl to Wonder Woman. I confess that I know quite a bit about superheroes – the struggles that led them to use their talents and gifts to fight for good and prevent evil. I am intrigued by these stories and characters because when you look closer, it seems that beneath the cape or the mask, these remarkable heroes or heroines are really ADHD adults in disguise. Take Tony Stark, aka Ironman for example. He is the epitome of an adult with ADHD. His resourcefulness and out of the box thinking has literally kept him alive, helping him to create a power source that would keep his heart functioning after a grave injury. And he struggles with focus – in the recent movies, you can watch his mental restlessness as he flips through his virtual computer screens fast and furiously. People with ADHD are 300 percent more likely to be entrepreneurs, so it’s no surprise that Tony possesses an ‘entrepreneurial brain style.’ He takes risks, bounces back quickly and sees failure as a stepping stone to success. Using his own ingenuity, he saw a need for a new technology, and had the passion and vision to develop it. In fact, he built the power source from spare parts and broken weapons. Talk about building something amazing from nothing. He is active, adventurous and often disregards his physical limitations (or in his case, his Ironman suit’s power limits) when he’s chasing fun and excitement which often gets him into trouble. And he can talk… a lot. Sounds like a typical list of ADHD symptoms, doesn’t it? Now imagine Tony Stark without his ability to ‘brain surf’ – how his mind can jump from one topic to another, or thought to thought, without skipping a beat. Do you think he would’ve been able to run so quickly through various scenarios and alternatives on how he could stay alive despite shrapnel inching toward his heart? What about how Tony Stark was known for locking himself in his lab for days on end until he found an answer to whatever challenge he faced. Would he have been as successful and productive if he didn’t have this incredible ability to hyper-focus and tune out everything else as if the rest of the world and his own needs ceased to exist? Or what if Tony whined and complained and let one of his failures stop him? Imagine if he wasn’t resilient and didn’t have an entrepreneurial spirit. He’d never had made it out of the cave where he was held hostage in the first place. If you’ve seen the movies with Robert Downey, Jr., I’m sure you’ve been entertained and amused by his live portrayal of the comic book superhero. Would he have been as charming if he wasn’t delivering his nonstop humorous commentary, acted as the life of the party or lived in the moment? Would the movie have been as enjoyable if Tony Stark was quiet and shy, if he thought through the consequences before he jumped off buildings or if he lacked an insatiable curiosity? Without these gifts, Tony Stark probably would not have reached superhero status. He most likely would’ve been an ordinary man…successful at his job and in life, but not the explosive sensation he became as Ironman. ADHD can be like that. It can make someone larger than life, grandiose in ideas and incredibly exciting to be around. 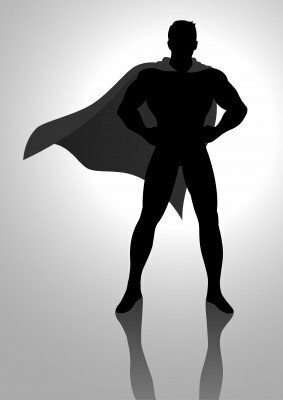 ADHD symptoms don’t have to be classified as debilitating challenges…they can be seen as superpowers especially when you use for good. So imagine if you could take one of your ADHD challenges and see it instead as a superpower? What would it be?